As a physician with a background in exercise and an investigator of one of the experiments to be flown on the station, Bill Thornton could draw upon years of personal research and his development of techniques, procedures and hardware for exercise in space, as well as assignments in the USAF Manned Orbiting Laboratory Program. 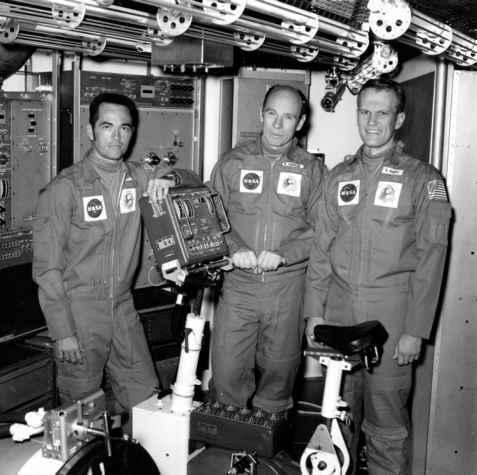 The Skylab Medical Experiment Altitude Test crew (left to right): Commander Bob "Crip" Crippen, Science Pilot "Dr. Bill'' Thornton and Karol "Bo" Bobko, who completed a 56-day ground simulation of a Skylab mission to gather baseline medical data. The Skylab SMEAT crew prepares to enter the altitude chamber at MSC-Houston for the 56-day test. simply would not do. Sure enough, the ergometer used by the SMEAT crew failed during the test and had to be removed from the chamber for unscheduled repairs. When it was returned to the chamber, Thornton's frustration at the inadequacy of the machine and the waste of time and effort in not providing a suitable machine in the first place was taken out on the ergometer. This time, he tested it to destruction. After SMEAT, Thornton continued his work on developing crew health regimes. 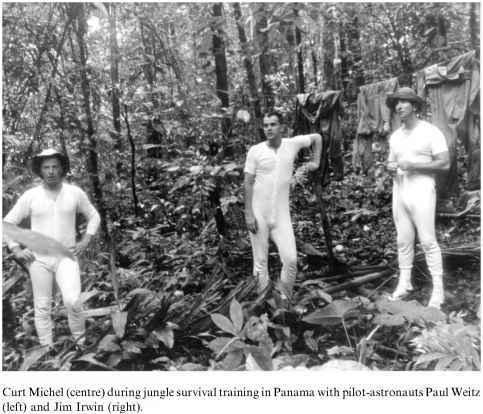 He was especially concerned about the condition of the leg muscles of the first two Skylab crews upon their return. In a move to alleviate the problem for the final crew on the longest mission yet, Thornton designed a simple (and economical) device to help maintain the condition of their leg muscles. A sheet of shiny Teflon was attached to the floor over which a sock-wearing crew member could slide their feet, while being held in place by elastic bungee cords. By adjusting these cords, varying loads could be applied to the exercise. This quickly prompted the crew to call the device ''Thornton's Revenge''. However, the positive results gained from this device served as the basis for more sophisticated equipment that has been employed on the Space Shuttle, and later on the International Space Station. 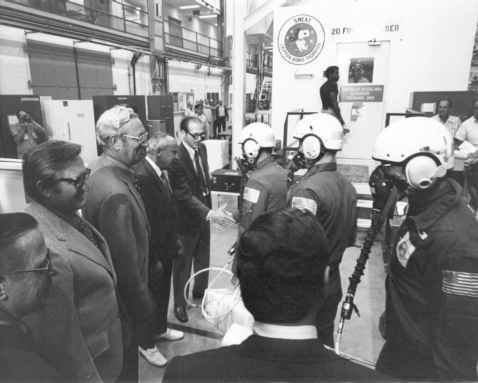 Although it was a successful test, the kind of problems he experienced in SMEAT (with inadequate government-furnished equipment and bureaucratic hurdles) continually plagued Thornton for the next twenty years as he tried to provide effective and economical exercise and hygiene equipment for the Shuttle, Spacelab and Space Station.